Although he was born in Sandford in 1794, John Tucker’s parents, James and Fanny (née Howard) were both from Colebrooke. In 1813 John married Grace Lee (b. 1789) in Colebrooke, the home of her parents, John and Grace (née Wreford). The Lees farmed at Penstone, a hamlet close to Colebrooke. It seems that Grace Lee married below her station – John Tucker was a farm labourer whereas her father was a prosperous yeoman farmer. In 1840 she gave evidence to the enquiry into the deaths of two inmates at Crediton workhouse. John and Grace Tucker went on to have three sons, all of whom emigrated to Australia. Grace Tucker died in 1850, and her husband John in 1874, in Penstone. John Lee Tucker was baptised at Sandford in 1815. Richard Lee Tucker was born in 1818, but apparently was not baptised until 1831 when he was 14, in Colebrooke. 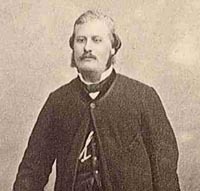 Robert Breathwheatt Tucker was born in 1821 and baptised in Colebrooke. His parents at that time were living at Lower Coombe, near Penstone. His second name is often spelt Braithwaite. The boys all served apprenticeships in Colebrooke: John in 1826 was assigned to his grandfather John Lee, Richard in 1829 was assigned to Robert Cann and in 1831 Robert was allocated to Robert Melhuish a miller. 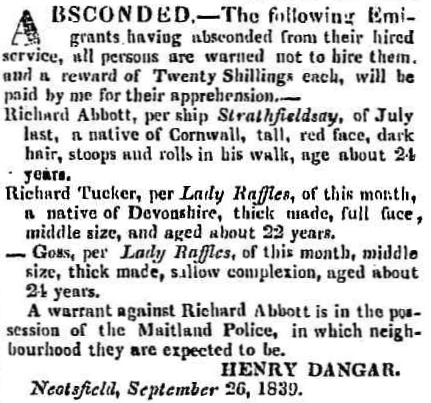 On 13 May 1837, the middle son Richard left England sailing from Plymouth to Melbourne on the “Lady Raffles”. Within a month of arriving he had run away from his employer. 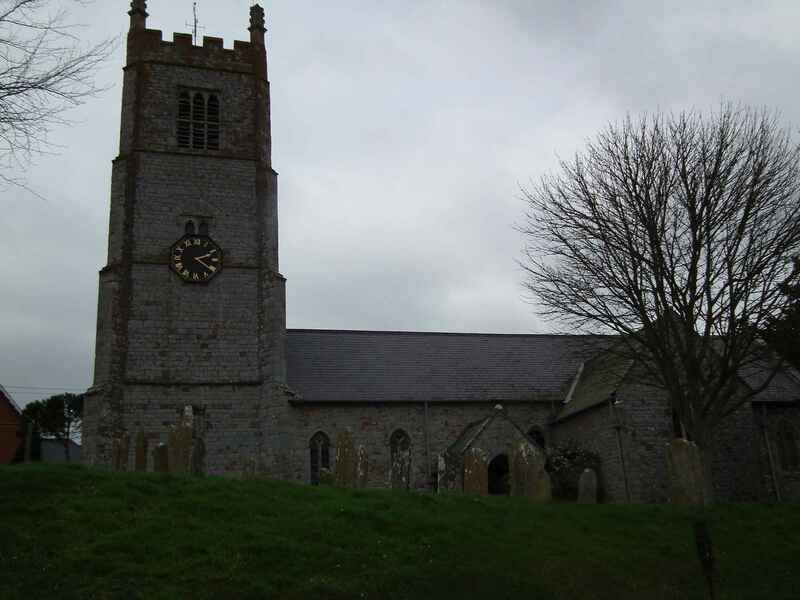 In October 1840 in Meshaw, North Devon, where he was working as a farm labourer, the eldest brother John married Elizabeth Elworthy. Within a month the couple were on their way to Australia on board the “Argyle” from Plymouth, along with his younger brother Robert. Also on board the Argyle were the Boundy Family from Little Moor, Meshaw, where John and Elizabeth Tucker were living at the time of their marriage. John Boundy was a blacksmith. He had married Mary Pook in West Worlington in 1831, and knew the Tuckers. His cousin, another John Boundy (1762-1826), had married and settled in Colebrooke where he was a shop keeper. He was later to be a business partner with Robert Tucker in Victoria. The three Tucker brothers settled in or around the then new town of Melbourne. John and Elizabeth had at least 8 children in Victoria. Their eldest son, Albert Lee Tucker was a Member of the Victorian Legislative Assembly (MLA) for 25 years. In 1885 he had a large house built in Fitzroy North, a suburb of Melbourne at 223 McKean Street. He called it Colebrooke House, and he died there in 1902. John and Elizabeth’s son John had a son, also named Albert Lee Tucker, who became a famous painter. Their youngest son, Louis Egbert Tucker was a con man and serial bigamist. He spent most of his life in and out of jail, yet managed to marry at least eight times. He had several aliases and sometimes purported to be titled. Richard married twice: to Ann Woods in 1843 and Bridget Galvin in 1858. His elder daughter Sarah Jane married her cousin, William Henry Tucker, one of John Lee Tucker’s sons. Richard worked in the quarries and had a reputation as a heavy drinker. After he had died it was shown in a civil action that he had conned some children (whom he had fostered after their father had died) out of the full value of a property they had inherited from their father. Robert Tucker was 20 years old when he arrived in Victoria, Australia. With the Boundy’s he spent two years in Williamstown and then moved inland to Allanvale. By August 1851 they had settled in the Malmsbury/Kyneton area where John Boundy built a hotel. 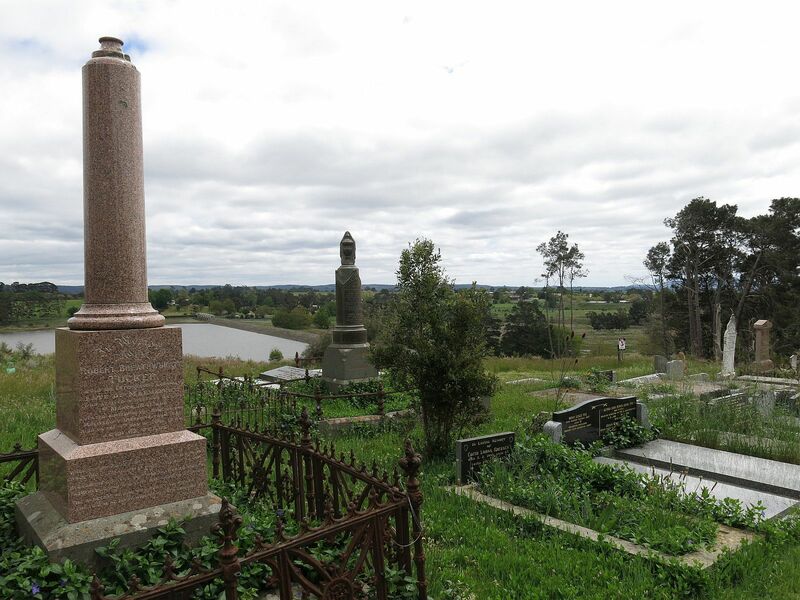 Whilst working with John’s son George Boundy (b1837) in Kyneton, Tucker discovered gold at Forest Creek and bought up a large amount of land and licences to extract the gold. As a result he became very wealthy. He was elected as a MP in Victoria’s Legislative Assembly between 1861 and 1867. He died unmarried after a short illness in 1884 in a private mental asylum having become delirious and violent. In his will he left £7,000 worth of property to John Boundy and his wife. 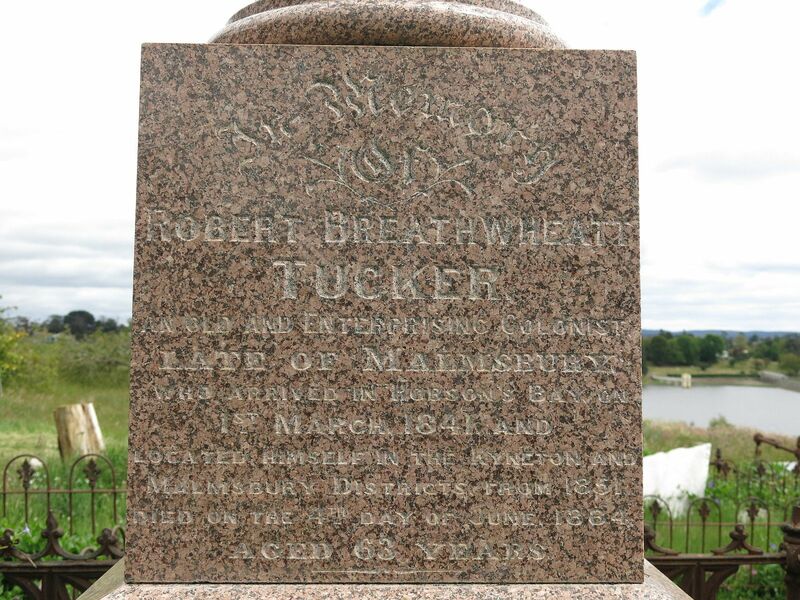 Robert Breathwheatt Tucker was buried in Malmesbury cemetery. 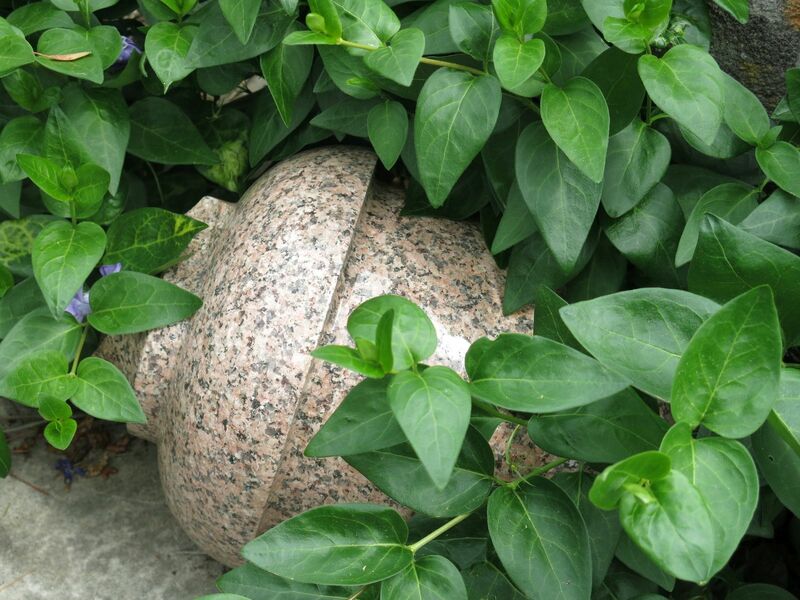 Sadly the decoration (right) that once adorned the top of the pedestal now lies amongst the periwinkles at its base. Click on the left image to read the epitaph.